With rapidly evolving digital marketing and the proliferation of devices, marketers are faced with the challenge of staying ahead, or simply keeping up, when it comes to capturing and keeping their audience’s attention. How can they do it? Take a page from Hollywood, which understands that they need to be on top of the latest trends in order to create compelling content that captivates their audience. Looking at the pictures below from popular films and television shows over the past decades, what do they all have in common? You got it—the use of a mobile device. Over the decades, the telephone has evolved from car phone to cellphone to smartphone, and as consumers adapt to these changes, marketers should too. In fact, in the U.S. alone, 75% of citizens over the age of 13 have a smartphone, and there are more mobile devices in the world (7.8 billion) than people (7.1 billion), due largely in part to our voracious appetite for “new.” That’s a huge audience you’re missing out on if you don’t have a mobile marketing strategy in place. Mobile phones have progressed from being used as a way to communicate with our friends and families and coordinate destinations, to a comprehensive tool for messaging, emailing, web browsing, time management, and everything in between. They’ve changed the way we live and communicate, not to mention they have reinvented our language (emojis, anyone?). Mobile devices are now the key entry point to the digital world and it’s up to marketers to understand how to stay ahead of the game to keep their buyers engaged. As you’re planning your mobile marketing strategy, consider how it fits in with your initiatives on other channels and how each channel will inform the other. Identifying this information will inform how you should adapt your message to each channel and individual. Mobile devices give you access to billions of users on their most personal device, and with that comes billions of different data points from their interactions. Because of this, it’s critical to integrate mobile interactions within a unified, single view that spans the channels where your audience engages. Even mobile-only companies, like Uber, can benefit from a multi-channel strategy. For example, Uber uses app engagement to inform their email communications, sending disengaged users new offers to reactive them. For your own strategy, consider how a buyer’s actions on your website or email can be used to trigger a relevant response on their mobile device, and vice versa. After all, as modern marketers, we’re increasingly the stewards of the customer journey and therefore responsible for meeting users’ expectations of a personalized and seamless experience—wherever they are. It’s expensive to acquire new users in a highly competitive mobile atmosphere—the number of new users has gone up more than 84% over the last year, according to research from Fiksu. So, it’s important to have a plan in place to ensure your acquisition efforts are not wasted on users who will not remain loyal or engaged. To avoid wasting your effort, dollars, and resources, conduct research upfront to build a solid profile of the right user. 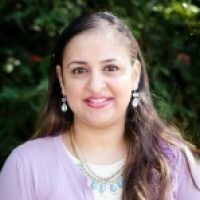 Understand what makes your current users loyal and profile their unique demographics and interests. This insight allows you to more quickly and effectively target the right people—those likely engage with your app and stay loyal over time—bringing in higher levels of engagement, lower cost per install, stronger reviews and referrals, and new user growth. Once you’ve identified the right audience, leverage your different channels to drive acquisition. You can run an install campaign to your existing marketable email database to drive awareness of your mobile app among contacts that haven’t downloaded it yet. You can even offer exclusive information or a particular motivation to download. Another option is to detect users coming to your website from mobile devices and encourage them to download your app. 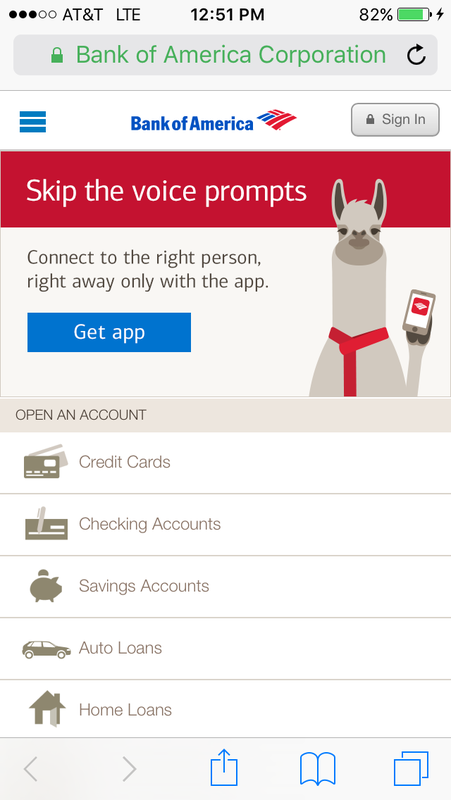 For example, while Bank of America’s website is mobile optimized, a CTA appears to download the app, with the incentive to be able to connect directly to a customer service rep by downloading and using it. A growth mindset goes beyond a narrow focus on acquisition. A solid mobile marketing strategy engages users from the second they’re aware of your brand to long after they’ve converted into users or customers. For example, in the case of mobile app marketing, this would entail the key mobile customer lifecycle stages of acquisition, engagement, retention, and reactivation (for those who stray). Even if mobile is not the primary way your brand interacts with your buyers, it’s a key component within a holistic customer journey, one that each of your buyers will go through. An effective mobile marketing strategy boils down to understanding how it fits into your overall marketing strategy, understanding who your target audience is, and engaging them long after acquiring them. Ready to take your mobile marketing to the next level? 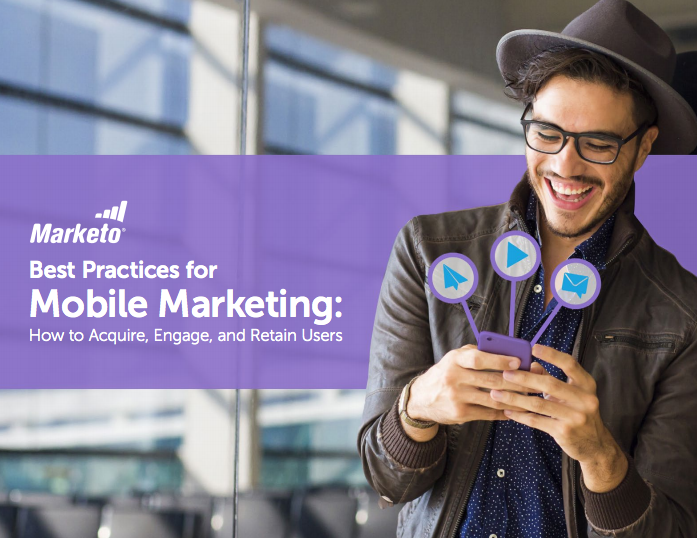 Download our ebook on Best Practices for Mobile Marketing: How to Acquire, Engage, and Retain Users.